Tired of eating turkey sandwiches yet? 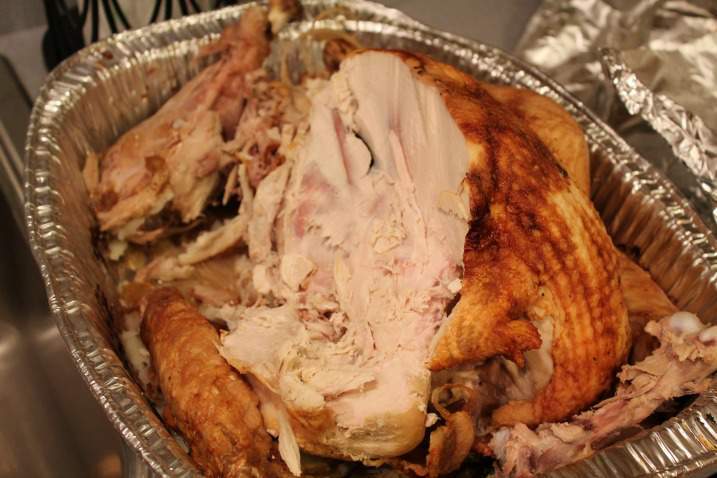 After the big meal of turkey on Thanksgiving Day, we are usually all stuck with a bunch of leftovers. One or two sandwiches later, and you wish you never had to see, let alone eat, turkey again for a very long time. So, in order to avoid this feeling, and wasting any turkey that I worked hard to prepare, I decided to turn it into something else just as yummy. This Turkey Corn Chili really does the trick. 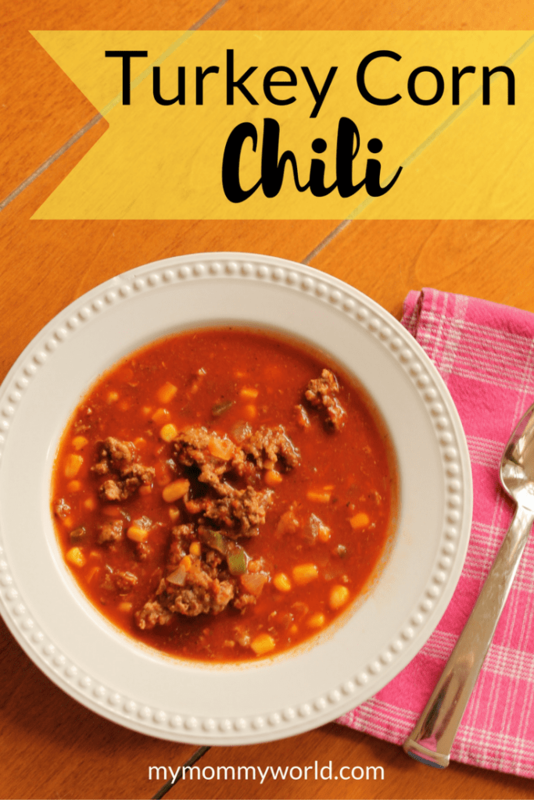 We’ve been eating this chili on the day after Thanksgiving for almost our whole marriage and we love it! Originally from Rachael Ray’s 30 Minute Meals, I switched up a few of the ingredients to make it more kid-friendly (i.e., less spicy), but you could certainly add back in a hot pepper, such as a jalapeno, or some cayenne pepper to suit your taste. It also is very fast to put together, which is very nice after a long day of cooking on Thanksgiving. Start off by sauteing onion, bell pepper and a bay left until softened. Cut up some of your leftover turkey to add to the pot. Pour in the rest of the ingredients, let it simmer, and you’re done! How easy is that? 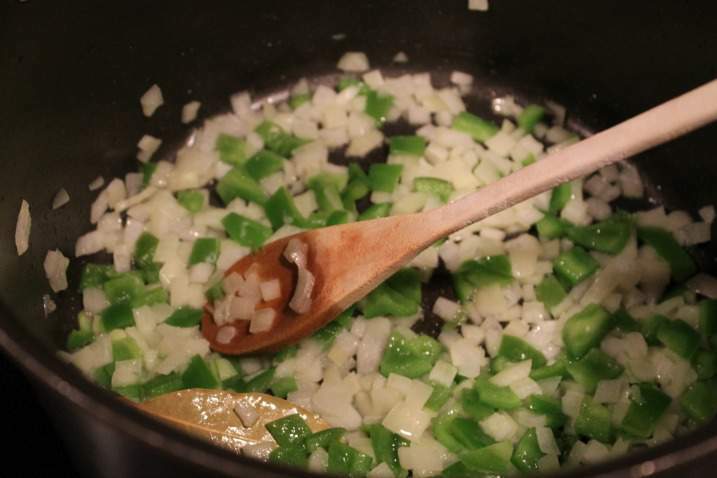 Cook the onion, bell pepper and bay leaf in the canola oil for about 5 minutes over medium heat, until softened. 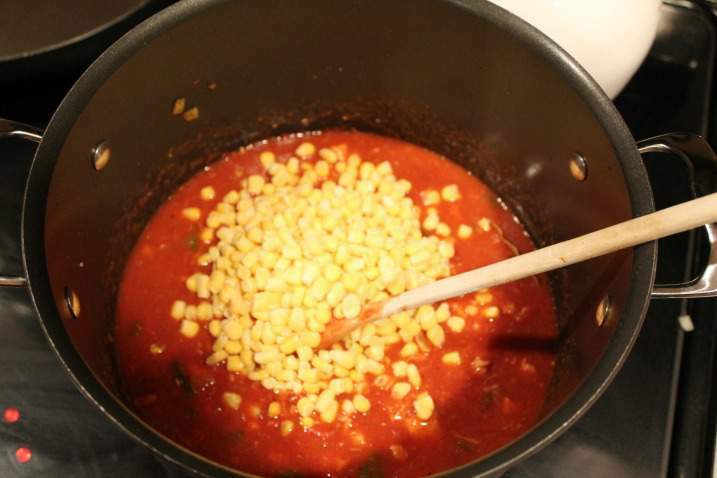 Add the turkey, along with the spices and salt, stirring well, then pour in the tomatoes, broth and corn. Stir to combine, then lower the heat to low and simmer the chili for about 10 minutes. Garnish the chili with cheese and sour cream. Serve with corn chips or cornbread. 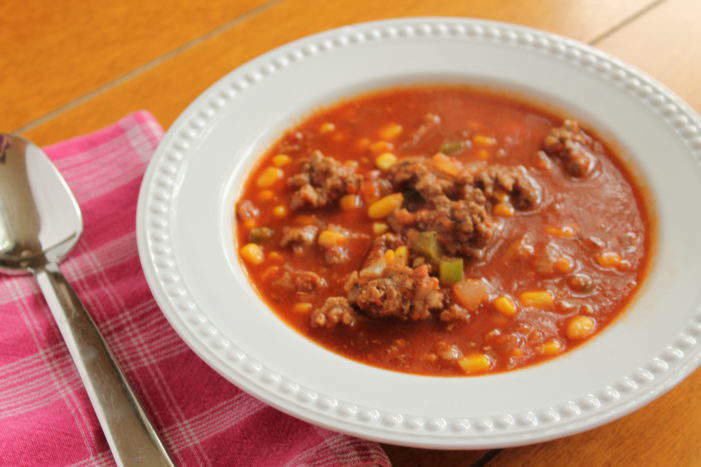 I also love to use ground turkey to make this chili at other times of the year. It takes a few more minutes to cook the meat, but it tastes just as good, and is so warming on a cold winter day. This looks delicious. With our leftover turkey I made up some turkey soup kits. But turkey chili would be so good too. Thanks for sharing your recipe. The kids and myself don’t like much spice so I’m sure this recipe will be a big hit with them. I’m planning to make your Turkey Soup kits later in the week…they are so great! We had lots of turkey leftover, so I was able to do both the chili and the soup kits. That sounds like a delicious way to use up leftovers! pinned.